Various duties and responsibilities. Must have a valid NJ driver's license. Salary $8 to $11/hour. Applications will be accepted until Friday, June 14, 2013. 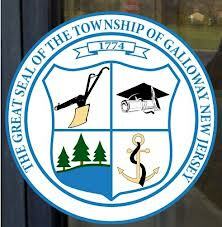 Applications are available in the Township Clerk's Office, 300 E. Jimmie Leeds Road, Galloway, NJ 08205 EOE.